Do you miss your childhood days playing at the beach? 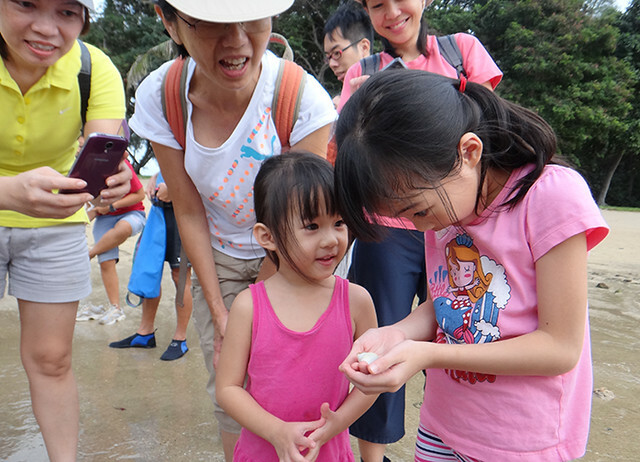 Remember being excited by sea waves and being curious about seashells and tiny sand creatures? Do you recall splashing happily into ponds, wondering about darting dragonflies and stream fishes? at the Sisters Islands Marine Park. 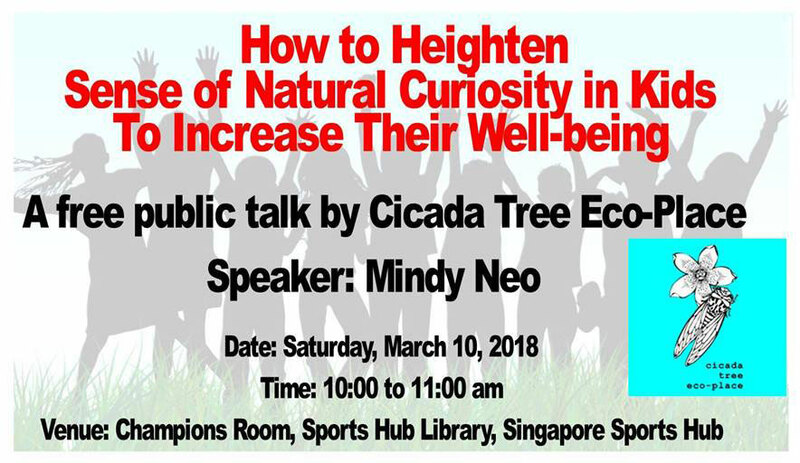 This talk by Cicada Tree Eco Place will help you to heighten your child's natural sense of curiosity about nature and the outdoors. The talk is held in celebration of International Year of The Reef (IYOR) 2018! Time in nature is an essential ingredient, not just leisure time. It’s an essential investment in our children’s health. There is growing evidence that children are increasingly disconnected from the natural world. Research findings indicate children miss opportunities to enhance their health and well-being when they lack direct contact with nature, and to develop responsible long-term environmental behaviour. 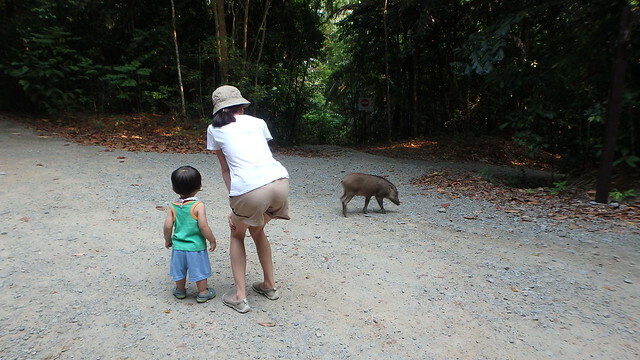 at Chek Jawa, Pulau Ubin. The talk is held in conjunction with Sports Hub Community Play Day - "Water Festival 2018". 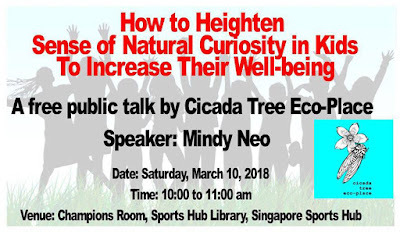 Talk is also held in celebration of Singapore World Water Day (SWWD) 2018 and International Year of The Reef (IYOR) 2018. 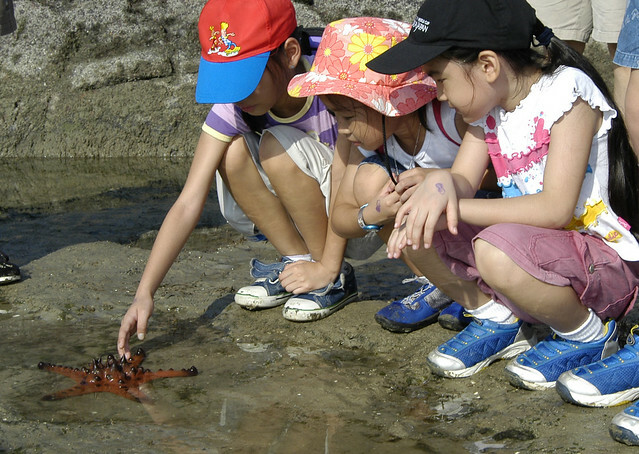 Attend the talk and visit our booth to find out more about coastal walks and family nature camps at St John's Island and Pulau Ubin conducted by Cicada Tree Eco-Place (CTEP), an environmental education NGO (Singapore, 2007).